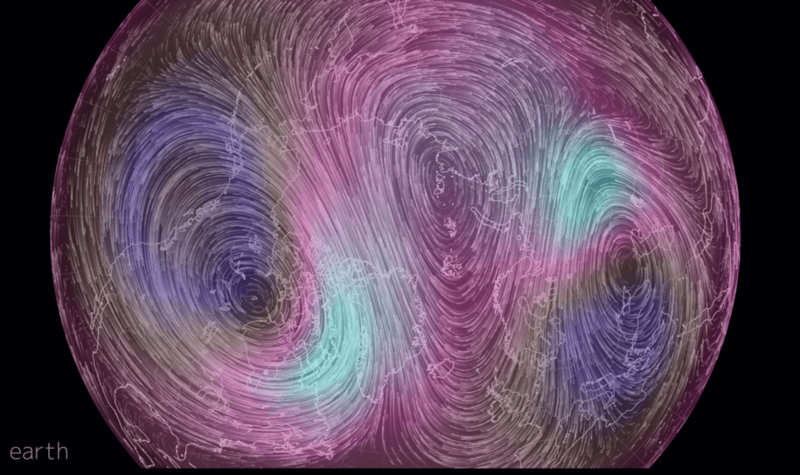 The polar vortex just split in two – Get ready for some wild weather from Europe to the U.S. The polar vortex just split in two… And this split will have far-reaching consequences for weather patterns from Canada to Eurasia. Since the polar vortex tends to be associated with some of the coldest air during the winter, the temporary separation means that ultra cold air is on the move. The latest split is likely to put Western Europe and much of Eurasia into the deep freeze for the rest of February, and will offer glimpses of hope for snow lovers along the U.S. East Coast. One piece of the vortex is sliding southwest, out of the Arctic and into western Canada and the Pacific Northwest, where frigid conditions and above average snowfall is favored for the next few weeks. Another is spinning out of the Arctic and over Eurasia. Caught in between is the Arctic Ocean, which should have some of the coldest air of any region in the Northern Hemisphere right now, but instead has seen yet another unusually mild winter. The polar vortex’s split means that the ultra-cold air is being siphoned away from the Arctic, leaving unusually mild conditions in its wake. Most computer models appear to agree that in the near-term, colder and stormier conditions than average are likely for Western Europe and much of Eurasia during the rest of February into early March. During that same period, the Eastern U.S. will experience something of a spring thaw, with temperatures as much as 20 to 25 degrees Fahrenheit above average for this time of year. Highs in the 70s Fahrenheit are possible during the closing days of February in Washington, D.C. and New York City, areas that saw record cold at the start of the winter. Ski areas in the western part of the country, particularly in the Northern Rockies, could see heavy snowfall and ideal snowmaking conditions during the next two weeks. Don’t be surprised if Arctic sea ice sets yet another record low for the winter season. The main polar vortex exists in the stratosphere, which is the layer of air above where most of our weather occurs. 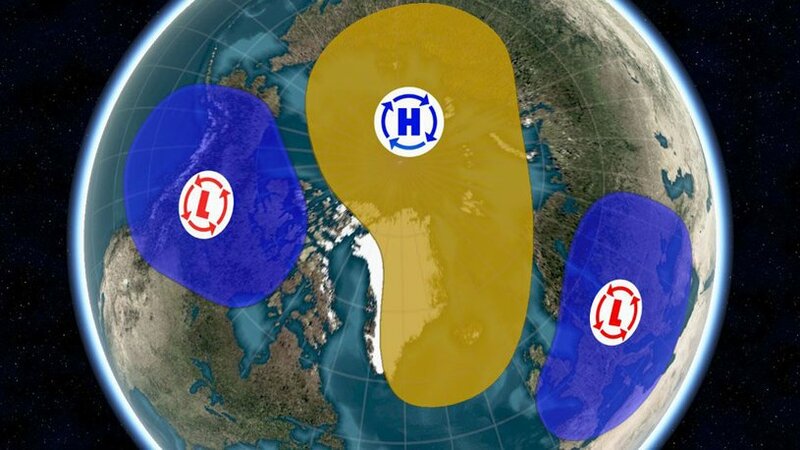 A sudden warming of the stratosphere over the Arctic, appropriately known as a “sudden stratospheric warming event,” took place in early-to-mid February, and this has caused the splitting of the stratospheric polar vortex. 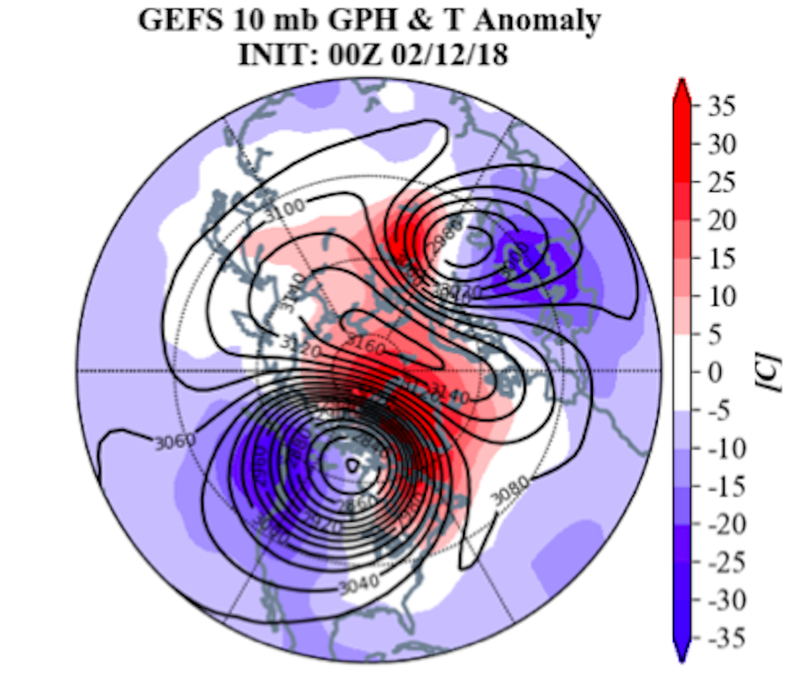 Sudden stratospheric warming events occur when large atmospheric waves send energy upward, into the stratosphere, setting in motion a complex process that results in the temporary breakdown of the polar vortex. This February’s stratospheric warming event was particularly extreme, possibly setting records for how sharply temperatures spiked in the upper atmosphere. The polar vortex just split in two. Get ready for some wild weather from Europe to the U.S. The polar vortex split isn’t the only factor favoring a cold snap in Europe, warmup in the Eastern U.S., and cool down in the West. There’s also a cycle of atmospheric pressure over the North Atlantic Ocean, known as the North Atlantic Oscillation (NAO), that can increase the odds of colder and snowier weather in some of these areas. “A significant PV [polar vortex] disruption is often followed by widespread cold temperatures across northern Eurasia and the Eastern US. 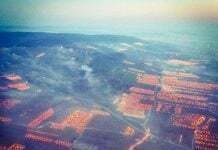 However the cold is more certain across northern Eurasia following these type of PV disruptions,” meteorologist Judah Cohen, who specializes in seasonal weather forecasting and tracking the polar vortex for AER, a Verisk Analytics company, wrote on his blog. The negative mode of the NAO typically features an area of strong high pressure over Greenland, which blocks the progression of weather systems moving in from the southwest, and causes the jet stream to plunge southward over Europe, allowing cold air to flow in from the Arctic and Scandinavia. Sudden stratospheric warming events tend to cause the NAO to switch into negative mode shortly after they occur. The rest of February should feature a colder than average Western U.S., coupled with a milder than average East Coast. However, the negative NAO phase could bring a return of winter weather to the East in early March, depending where exactly that Greenland block sets up. There’s often a delay between when the polar vortex is disrupted, and when the cold air arrives in parts of the U.S., if at all. Snow lovers will be watching upcoming forecasts anxiously, because the deeper into March we go, the less likely widespread snows along the East Coast become. Be ready! Or get prepared for the uncoming strange weather! Chemical ice nucleation of storms and precipitation does create a cold dense layer of air on the ground level that can drastically lower temperatures temporarily. But what is the overall cost? Patents……we need climate engineering fully exposed and halted. 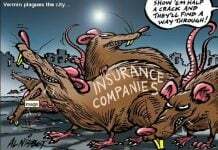 Please investigate and know the facts. In Tuscumbia Alabama, we have rain almost every day for a month. Still there is no sunny days in sight for next 10 days. I really fed up so much rain. All the river and creek are overflowing. All the trees and rocks have so much green moss just like rain forest. It is obvious that the Earth Change is going on. 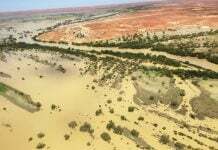 After all that rain, I feel like I would like to move in the middle of desert where is no rain. So glad we are having a warm-up here in the Eastern part of the US, especially after suffering through 35 below zero Fahrenheit temps in the coldest spots and 22 below F. in my local area. However, last night we got hit with 6 inches of powder snow, but it should melt pretty rapidly with the coming warm-up.